While I'm not a fan of overwhelming optic LEDs that distinguish a car from a UFO, some slight customisation when conducted in a subtle fashion can add a certain value of flare to the eyes. Hardly impressive in name but the latest readily available car door lights now come with a projected image of choice. 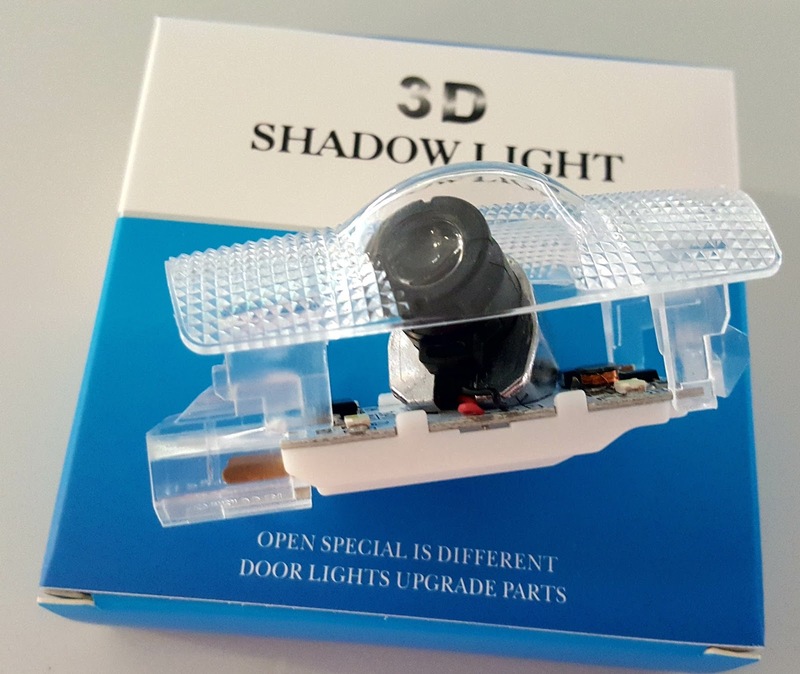 Just Goggle "car door lights" and you will have some idea of what has been coined to be "Door Welcome Lights" in the car market today. As it stands, the red stock door light on my Toyota 86 was pretty much useless as it's nothing more than a bulb behind a piece of clear red plastic. 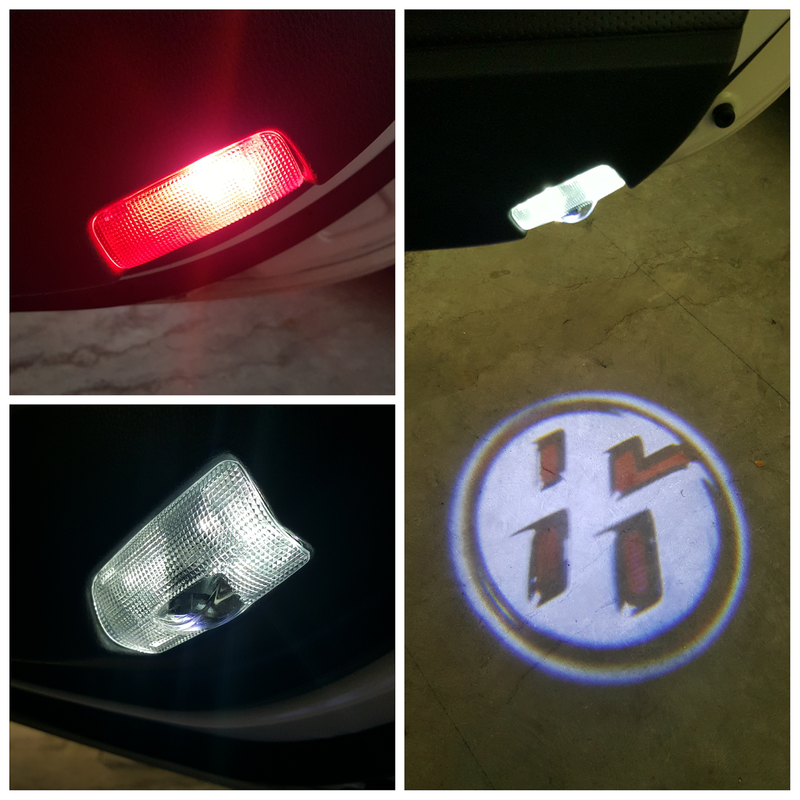 As a direct one to one replacement, these door welcome lights come with a projector lens that beams a ground facing "86" emblem for a custom feel. Moving along with the times, yours truly, like every other car nut out there, is constantly exploring ways to "stand-out" from the ordinary without being to 'loud'. With the thus far back-to-back success of aesthetic DIY improvements, I gave this '86' door projector a go for some S$36/pair on Taobao.com. As it was an online purchase from China, I wasn't expecting much but must admit that the product definitely didn't disappoint. Fitment was as good as stock and installation only took me 2 minutes. 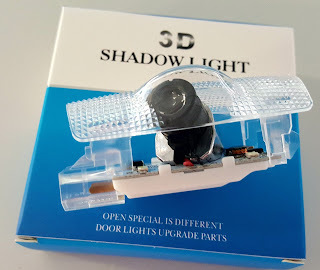 I popped the old ones out and replaced them with the new door projector lamps and the outcome was no less than impressive. The projected emblem was crisp and clear with the red, black and silver '86' emblem well defined in good size. While this certainly wasn't going to add any horsepower to my ride, you can bet that I take some pride in piloting an '86' because the design story behind the emblem is the reflection of the four wheel drift of the perfectly balanced GT86.